Changing banks can be a headache. Fortunately, we can make the whole process as painless and easy as possible. With our simple 5-step process (Open, Deposit, Set Up, Stop, and Close), you will be switched over in no time. We've designed a switch kit packet complete with several forms that will make your transition to our bank a smooth one. Our knowledgeable Personal Bankers are also available to answer any questions and guide you every step of the way as you make the switch. We are so pleased that you’ve decided to enjoy the great service and friendly staff at The Bank of New Glarus® and Sugar River Bank Branches. We are a community bank, and we value you, our customer, as one of our greatest assets. Follow these simple steps for a smooth transition and you’ll be enjoying your new Bank of New Glarus® and Sugar River Bank Branches account(s) in no time! Stop by any of our branch locations and one of our Personal Bankers will be happy to help you through the process. They can also advise you on the best account(s) to fit your needs and lifestyle. Want to do some research before meeting with us? Check out our Personal Checking and Saving Account options. You will also want to create a list of all automatic deposits and withdrawals that will need to be switched over to the new account. The "Accounts & Amounts Organizer” form in the EZ Switch Kit will to help keep this information organized. While you can manually deposit cash or checks into your new account, you may also set up Automatic Deposits, like a Direct Deposit from your employer. Use our “Direct Deposit Change Authorization” form to provide your employer with all the information needed to switch your Direct Deposit over to your new account. Switching over some automatic deposits, like Social Security, requires a special form, so be sure to contact each company to make sure no additional forms are required to complete the switch. After switching your automatic deposits, you will need to set up your Automatic Payments to withdraw from your new account. Using the information from the “Accounts & Amounts Organizer” form completed in Step 1, you can manually set up each payment to pull from your new account. Automatic Payments can be set up by either using the enclosed “Automatic Withdrawal Change Authorization” form or visiting the payee's website. Our Online Banking also has a Bill Pay feature that allows you to conveniently control and monitor all of your automated payments from your computer, tablet, or smart phone. After your automatic deposits and payments have been set up, stop using your old account, but continue to monitor it. Once all of your outstanding checks have cleared and all pending withdrawals have posted to your old account, you're ready for the final step. Once you’ve confirmed that all of your Automatic/Direct Deposits and Automatic Payments/Debits are correctly going into and coming out of your new account you’re ready to close your old one. 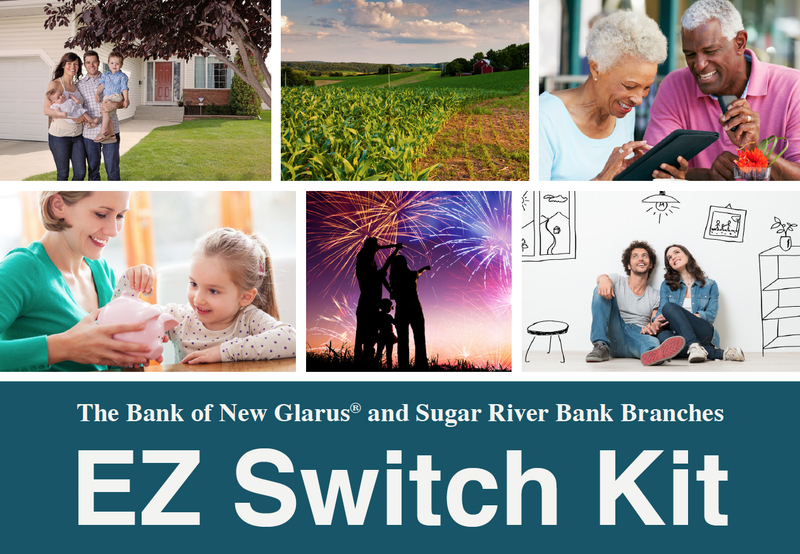 Use the “Request to Close Account(s)” form included in the EZ Switch Kit to submit a formal request to have your old account closed and have your remaining funds mailed to you.